Vikramaditya Motwane’s period drama Lootera (“Thief”) is appropriately titled, as it steals slowly into your consciousness and deftly exploits your vulnerabilities before leaving you alone with nothing but your thoughts. This is not a loud film; it features no dance numbers, no bombastic “Bollywood moments,” but it still delivers the beautifully melodramatic payload that makes Hindi films such a joy to watch. 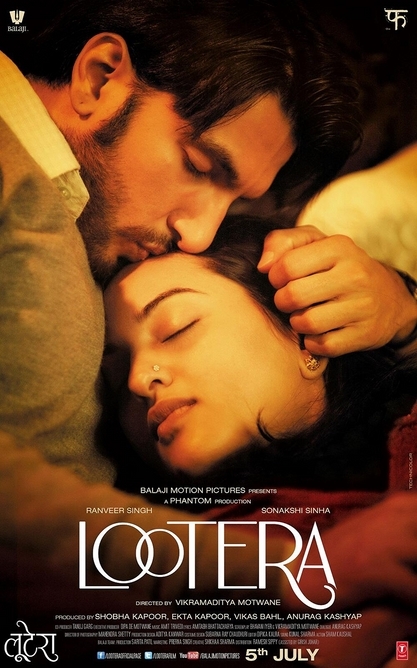 Lootera is the story of Pakhi (Sonakshi Sinha), a pampered Bengali landowner’s daughter, and Varun (Ranveer Singh), the mysterious archaeologist who comes to dig on her father’s property. Pakhi is instantly entranced, but as Varun is wooed by her charming, single-minded campaign to win his heart, he’s waging a dangerous war of his own. He’s no archaeologist. He’s a con artist, part of an expert ring of thieves, only there to worm his way into her and her father’s good graces so that he can simultaneously worm his way into their coffers. Based in part on O. Henry’s short story “The Last Leaf,” Lootera takes a meditative journey towards that part of the arc, building emotion and tension and investing the audience in the characters — including Pakhi and Varun’s constant companions, Devyani and Debdas, played perfectly by Shirin Guha and Vikrant Massey, who each grab pieces of the spotlight so subtly it’s like your pocket got picked. Motwane lets silence tell most of his story, pulling achingly exquisite performances out of Sonakshi Sinha, whose expressive face speaks volumes. The viewer sees Pakhi’s mischief, her petulance, her passion and her despair play across the canvas of the actress’ beautiful face in ways that need no verbal underscoring. She’s just excellent, inhabiting this character’s skin. Ranveer Singh comes off a tad more remote, as his character’s interior life is more of a mystery, but in Varun’s moments of true misery, his anguish is palpable. And I would be remiss if I didn’t mention how Ranveer excels at intimacy. As anyone who’s seen Band Baaja Baaraat knows, he has no problems with passion, but it’s more than that: He achieves the perfect balance of hunger and tenderness, and it’s the little ways that Varun looks at, and touches, Pakhi that just stay with you after the screen’s gone dark. Lootera is crafted gorgeously and sensitively, with everything from the clothes to the music to the set bringing to mind 1953 Bengal. The camera pans lovingly over the lush scenery, transporting the audience to a specific time, a specific place. It speaks to an era where India was still trying to find its footing after British rule, and jamidars (landowners) were being stripped of their property and monetary gains. Pakhi is almost too privileged — many of the film’s conceits hinge on that very fact — and it’s the character’s innate sweetness and root-worthy moxie that helps the viewer suspend judgment and fall as deeply in love with her as Varun does. And this is, at the core, her story. The one she’s written for herself, and the one written for her. 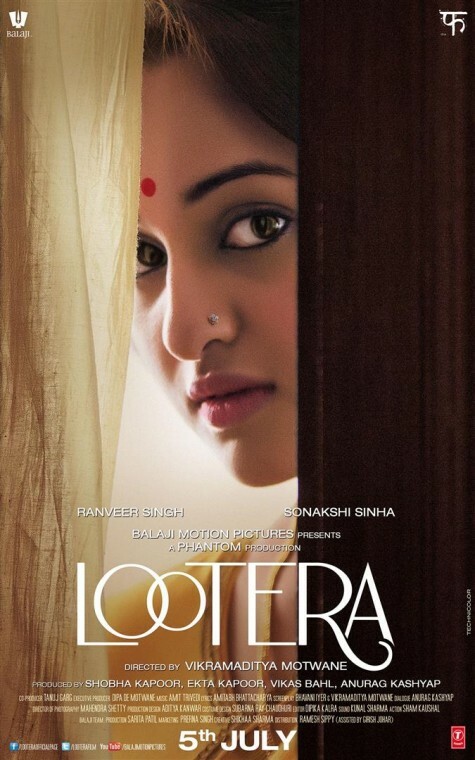 Ultimately, Lootera isn’t a tale of thievery — it’s a heartbreaking tale of a young woman who gets something back. -In many ways, I think it’s also a film about the death of an era, of a different ideology, and how you can choose to die quietly — with a whimper instead of a bang — or go out on your own terms. -To wit, the film’s ending is almost too heavy-handed and could’ve used a touch more subtlety to underscore the tragedy of its theme rather than the blatant “Do you get it? Huh? Huh?” staging. -I really love that there were genuinely funny moments in the film, because it made the characters all the more human and relatable. A lot of Serious Dramas forget that laughter is real and don’t realize that the absence of it can make a film less realistic. Meant to post this comment on Monday as soon as I saw the movie, but in retrospect I’m glad I had a chance to get some distance, because 5 days later, the movie is still ringing in my head. This is the first Bollywood film I’ve seen in some time, and what a wonderful way to get back in touch with the genre. Now I just need it to be July 26 so I can go see Issaq :). I haven’t seen 3 Idiots either! ::high-five:: I don’t know, I’m just burned out on boys gazing at their navels…as if women in India don’t have similar stories that need to be told! I think that’s another part of why I liked this movie so much: It was largely about Pakhi and her evolution. We don’t know WHAT will happen to her (heck, she’ll probably die), but it’ll be on her terms. I’m so glad you liked Lootera. The first half really was sublime…and there were some gorgeous bits at the end. I was such a mess, too! Yeah that’s part of the delay for 3 Idiots. You just look at the summary and you know it’ll end. Plus I saw “Dil Chatha Hai” which makes me feel like I’ve seen the prequel :P.
I hadn’t thought about it that way but you’re right. It’s Pakhi’s story which makes a big difference. Sadly with her health and living in India at that time, I can’t imagine she lived a long life, but her expression at the end, when she saw the masterpiece. I can’t help but smile when I see that :).